Voice memos are great to keep a record of all your brilliant ideas because inspiration can strike anytime. They also allow you to hold on to an important conversation, making sure you don't miss out on anything. But the most effective use of voice memos has to be during interviews. They make transcriptions much more accurate because the quality of recording does not suffer. Step 1: Connect your iPod touch to your PC/Mac and run iTunes. Click on your iPod touch icon at the left side of the interface. Step 2: Choose the "Music" option, then a new screen will appear. Step 3: Tick the "Sync voice memos" box and click on "Apply". 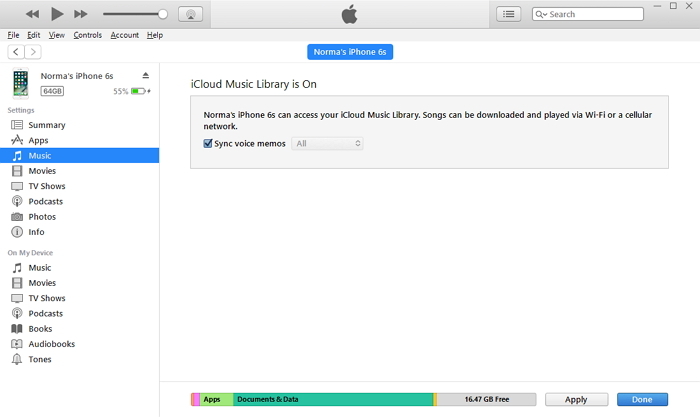 Step 4: Your voice notes will then be synced to your iTunes Library. From there, drag and save them to any location on your computer. Step 1: In the Extras section in your iPod, you will find the "Voice Memos" section. You will then be able to see various files. Select the one you wish to transfer. Step 2: Tap on the "Share" button. From the options that appear, tap on "Mail". Step 3: On the next screen, type an e-mail id and click on "Send". Your memo will be sent as an attachment. Step 4: Access your mail on your computer and download the voice memo. Step 1: Open the Voice Memos app on your iPod. Step 2: Select the file you want to transfer. Step 3: Tap on the "Share" button. Step 4: Tap on the "Save to Dropbox" option. Step 5: You can then access your voice memo file on your PC/Mac through the dropbox. iMFone D-Port iPhone data extractor lets you transfer voice memos to your PC/Mac from your iPod touch along with various other iOS devices. 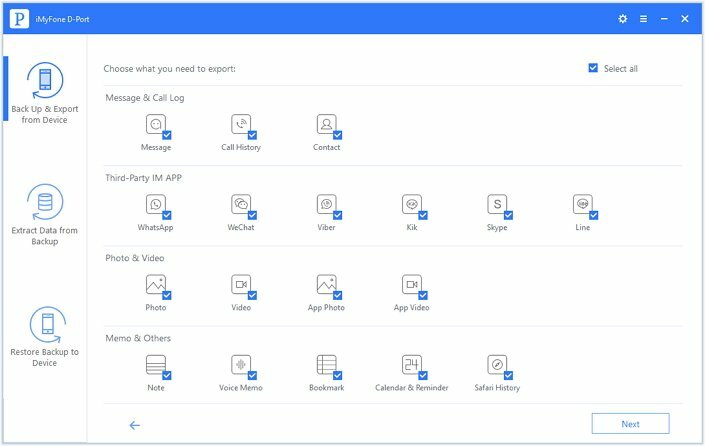 It allows you to access, view and transfer all your data on your computer. 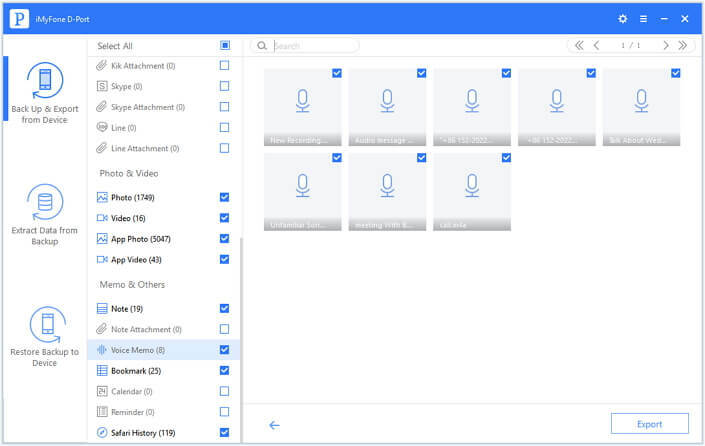 it can transfer 18 types of files including voice memo, videos, photos, contacts, messages, etc. 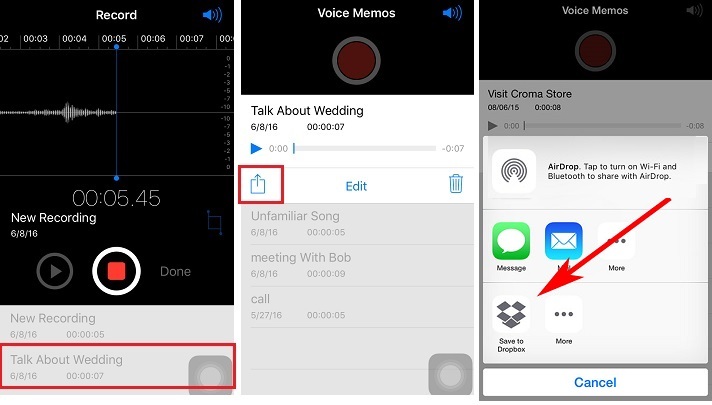 You can preview voice memos on its interface before deciding which files you wish to transfer. Extract data from your device, an iTunes backup or an iCloud backup to computer easily. 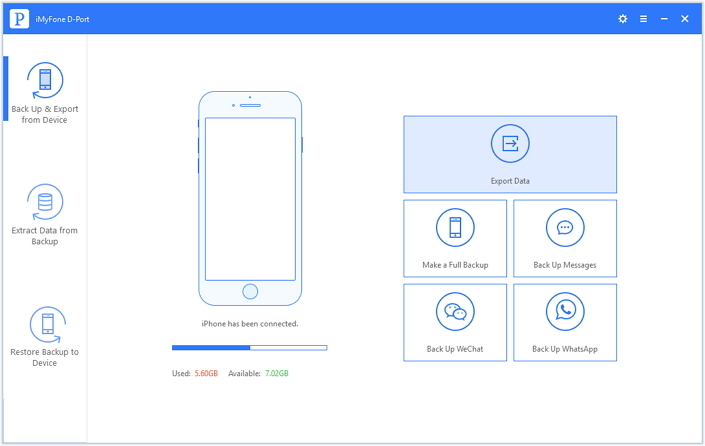 The pro version of iMyFone D-Port even can restore data from iTunes/iCloud backup to your device. 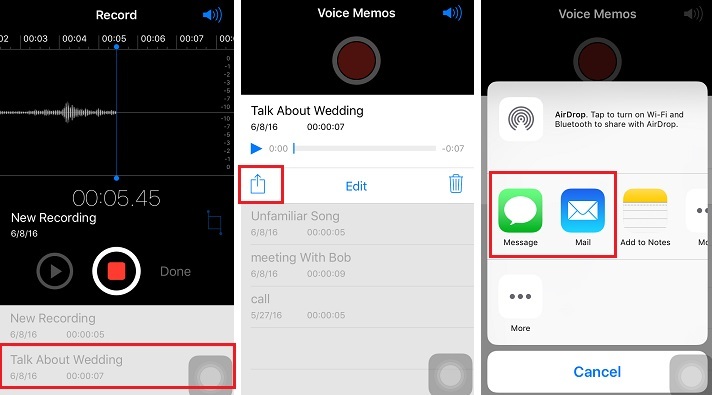 Other than efficiently working with voice memos, it also transfers other up to 20 types of files including videos, photos, contacts, messages and call logs. You can preview your voice memos on its smart interface before deciding which files you wish to transfer. Step 1: Run the program. Connect your iPod touch to the computer, select the "Back Up & Export from Device" option from the left panel then click on "Export Data". Step 2: From the list of different file types, tick "Voice Memo" and click on "Next". Step 3: After the scanning, it will show your voice memos. Select the ones you need and click on "Export". You can then choose a location on your computer to store the files. iMFone D-Port is surely one of the best ways to transfer voice memos from iPod to computer. All it requires are a few clicks and you are good to go. There is no reason to worry about anything else, and you can do a lot more with your devices, transferring many other types of data. It is really a great tool to better manage your data on iOS devices!